I created this simple Prayer Model. 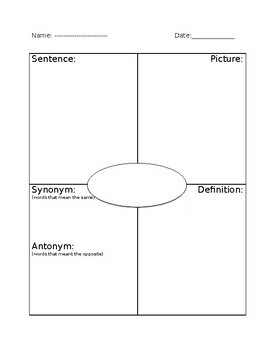 The students put the vocabulary word in the center, write a sentence, draw a picture, write the definition and write synonyms/antonyms. I use this with my 3rd grade special ed class.